The heart of Monte Carlo is currently the subject of a major urban renewal with the aim of bringing this historic site, linked to the international aura of the Principality, majestically into the twenty-first century. This development is secondary to major work in the two heritage buildings that line the place du Casino where prestigious luxury brands were previously established : the Hôtel de Paris (1864), being currently restored and embellished by Richard Martinet, and Sporting d’Hiver (1931), which will house a luxury residence complex. 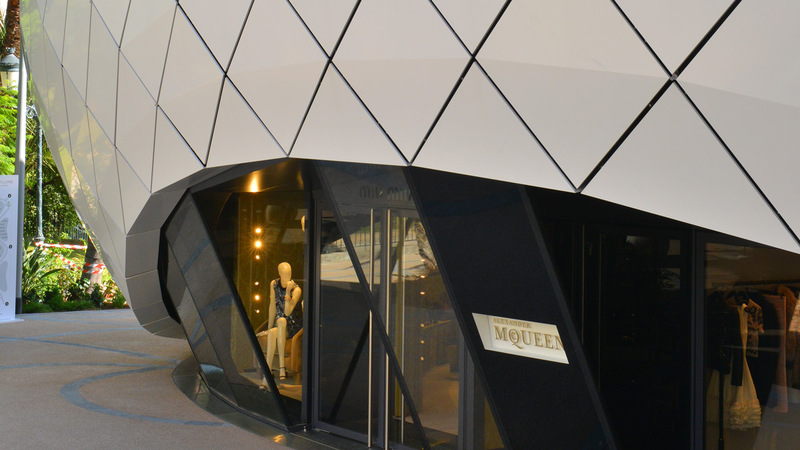 For this purpose, Monte-Carlo Société des Bains de Mer wished to temporarily relocate the luxury boutiques therein to within the Jardins des Boulingrins for the duration of the construction period, which began in June 2013. Conceived by the architect Richard Martinet, this project integrates a respect for the environment and ensures the sustainability of the heritage flora of the area. At the same time, it foreshadows the renewal of this exceptional site into a place of entertainment and conviviality, the future centre of economic and cultural development of the city. Five in number, les Pavillons Monte-Carlo are located between the avenue de la Costa and the place du Casino over a total area of ​​2,700m². 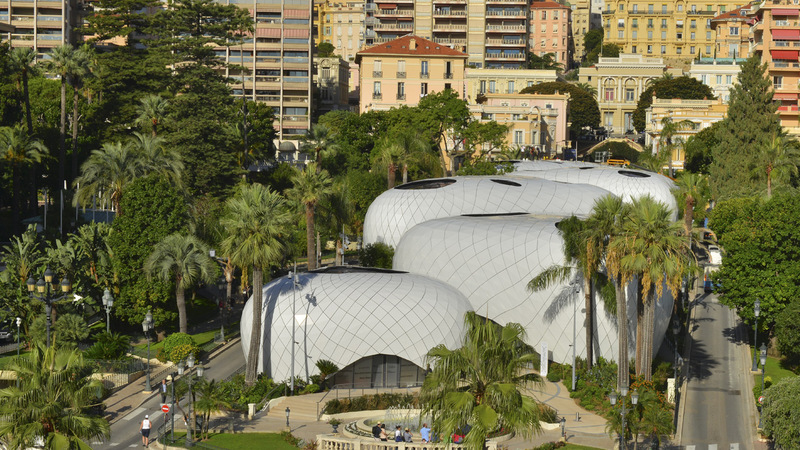 At the request of the Société des Bains de Mer (SBM ), contractor and owner of the Jardins des Boulingrins, Richard Martinet conceived these modules on the principle of an ephemeral architecture, in collaboration with the Monacan architect Jahlan Cherif, associate to the project manager. 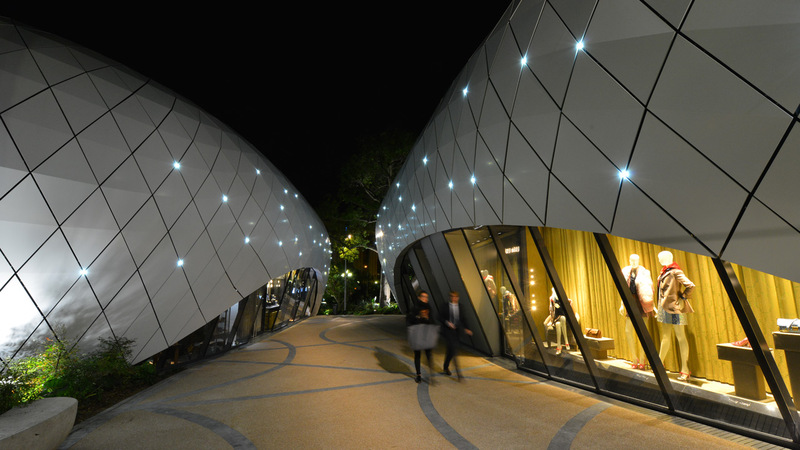 Giant pebbles lain in leafy surrounds, the Pavillons Monte-Carlo host world-renowned labels and boutiques of fine jewellery. 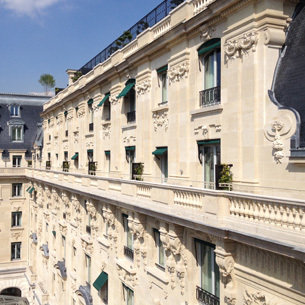 These shops will stay in place during the work carried out on the Hôtel de Paris, which will remain available to its privileged customers. The restoration of the famous palace will be conducted on an occupied site, a sensitive operation conducted by Richard Martinet, prime contractor for this project and interior architect. Breaking with classical rationality and linear order, the curvaceous geometry of these pavilions is no stranger within the context of the site. At the heart of Monaco, the Jardins des Boulingrins lie alongside the gardens of Petite Afrique, where one can find rare species and high canopy trees that offer Monacans and visitors the world over verdant and sunny terraces. This botanical universe is a contemporary art space in open air where, all year round, exhibits by various institutions, including the Guggenheim Foundation, may be found. The context has guided the form but not only. The morphologies of the Pavillons Monte-Carlo, and consequently that of its spaces, respond to the intent of Richard Martinet to erase the architectural conflict that opposes the structure of a building to its interior and its standardized elements. The director of AFFINE DESIGN took the opportunity of utilising an ephemeral architecture to provide a blank page for boutiques to renew their spatial distribution in one single place. 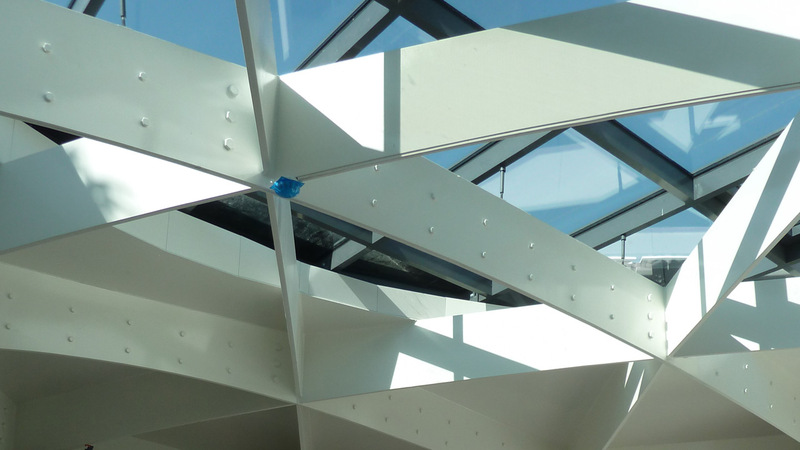 If the ephemeral architecture is an opportunity for the prime contractor to provide a dose of oxygen in a constrained environment, it remains a delicate exercise to harmonise this territory with a contemporary insertion. The project is in the spirit of the times, such that its innovative concept has seduced the Principality and the Société des Bains de Mer, inspired to make Monaco a city of urban experimentation. The vision of Richard Rogers has also nourished the conception of Richard Martinet. Drawing an imaginary line on the place du Casino, the British architect, currently at work on the location of the Sporting d’Hiver, affirms the mutation engaged on this legendary location. On the one hand persists the flamboyance of the architectural heritage of the Principality and on the other falls the urban face of the Monaco of tomorrow. A future already underway with the construction of the new Yacht Club de Monaco, directed by Norman Foster. 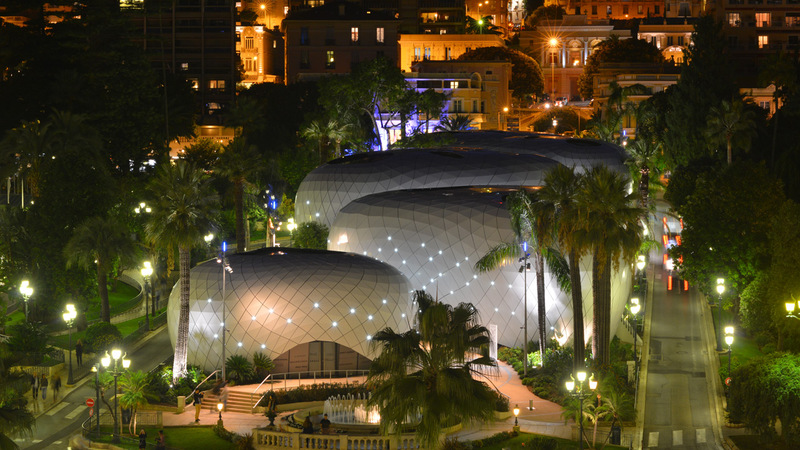 With their futuristic shapes, the five Pavillons Monte-Carlo engage in this princely determination to see Monaco achieve an affirmed architectural modernity.